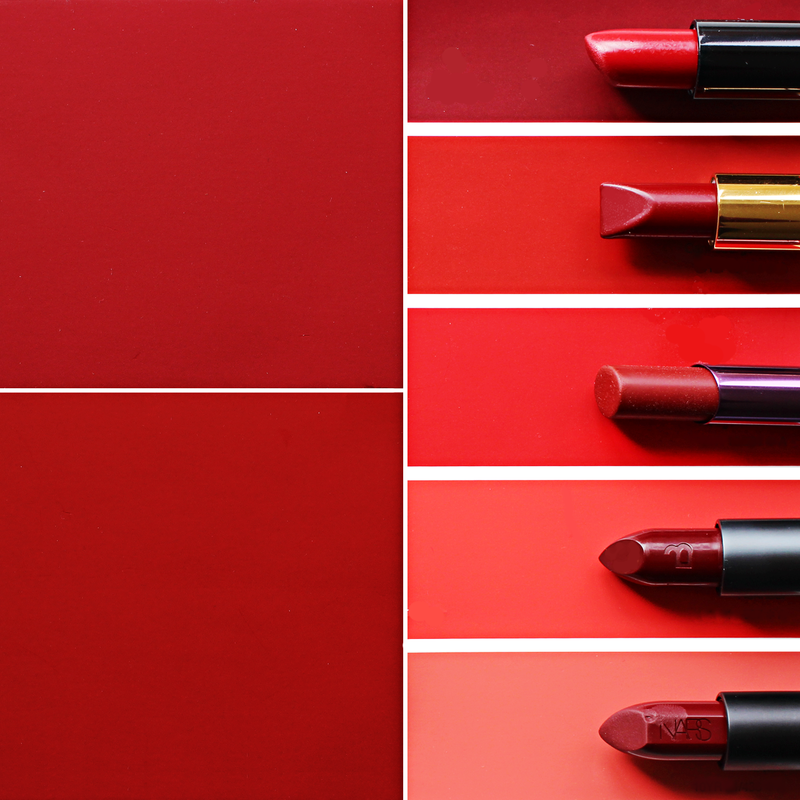 Anyways, since some of y'all were nagging me for selfies with me actually wearing red lissick in my last lipstick post, I thought I'd deliver AND tell you about some of my favourite reds. The reds I tend to gravitate towards are the deeper shades, since the lighter shades are too 'happy' and y'know, that ain't me. I want my shades to scream "FIGHT-ME-even-though-I-haven't-been-to-the-gym-in-years-and-quit-taekwondo-when-I-was-like-nine-", y'know? 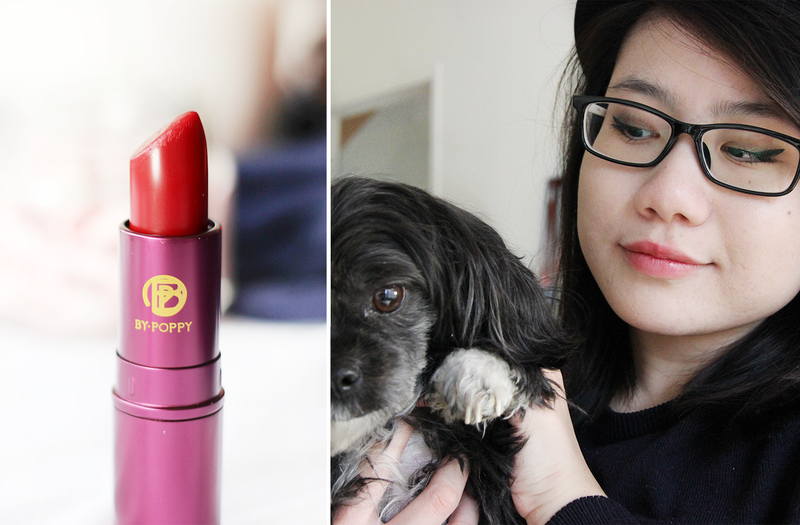 My most worn red, though I'm trying to ration it because it was part of UD's Pulp Fiction limited edition collection back in 2014 aka I can't get it anymore (I cri everytiem). 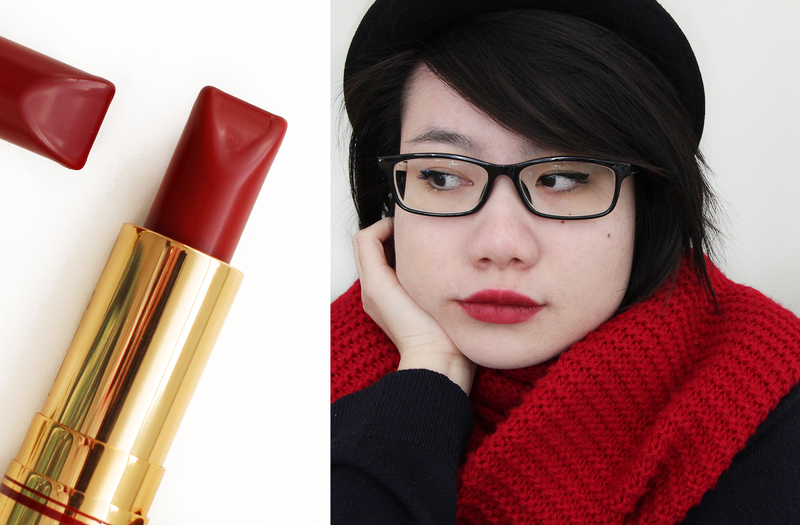 It's described as a "deep blood red", and like UD's other lipsticks, it's slightly creamy, pigmented, and hella opaque. It also leaves an ironclad stain behind. 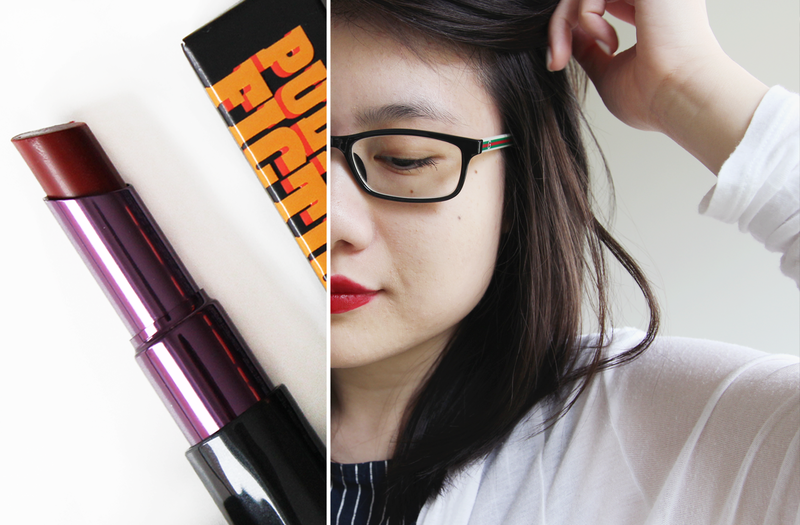 I'm also eyeing UD's 'Bad Blood', which hopefully is similar enough to 'Mrs Mia Wallace'. If Urban Decay's 'Mrs Mia Wallace' is described as a "blood red", then 'Red Velvet' could be described as '~dried blood red~'. (The actual description is "mid-tone neutral red"...whatever that means) It's the perfect true/classic red for me—it's not too bright, it's super creamy and pigmented, and because the bullet is ^ shaped/chiseled on the top, it makes it easy to get in the inner corners of my mouth. Finish is somewhere between matte and satin. 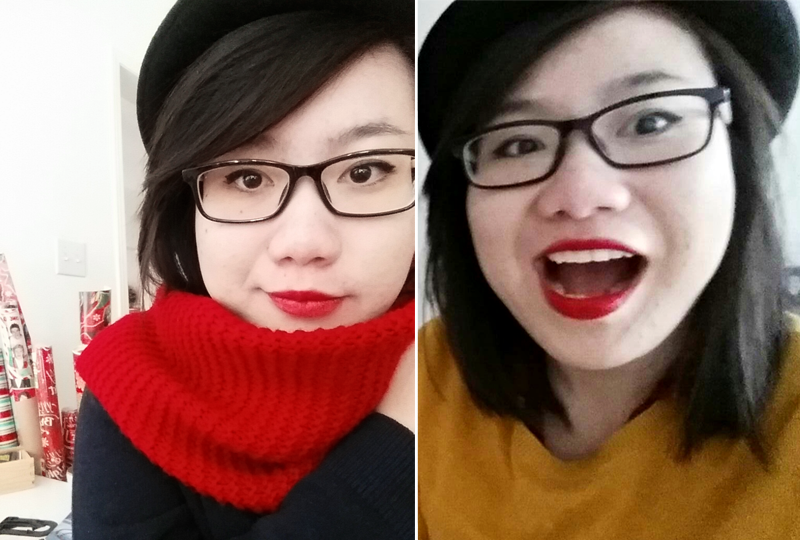 Seriously though, Besame makes amazing red lipsticks. I also have 'Cherry Red', and if I was rollin' dough, I'd be hoarding up these tubes while looking fabulous on the daily. 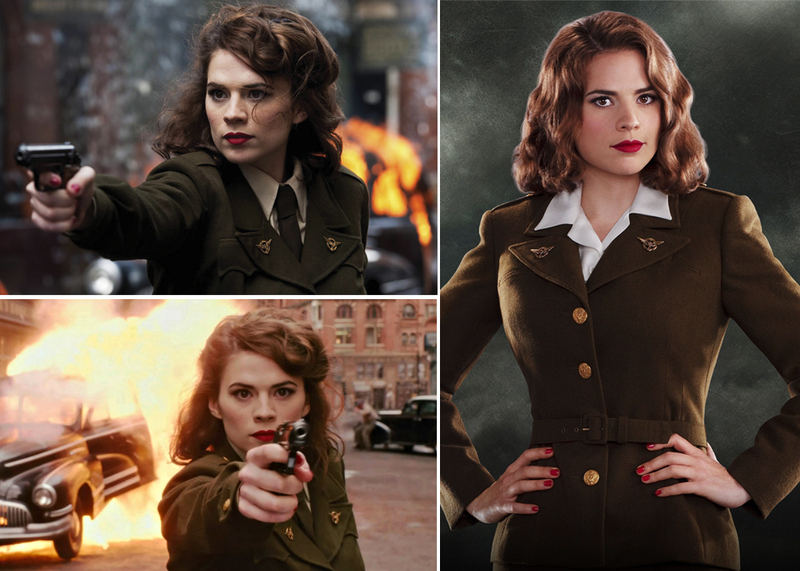 PLUS, HAYLEY ATWELL WEARS 'RED VELVET' AS AGENT CARTER. I MEAN, LOOKING BADASS WHILE FIGHTING THE PATRIARCHY??? YES PLEASE. Click here for arm swatches. Any dark red lipstick recommendations?